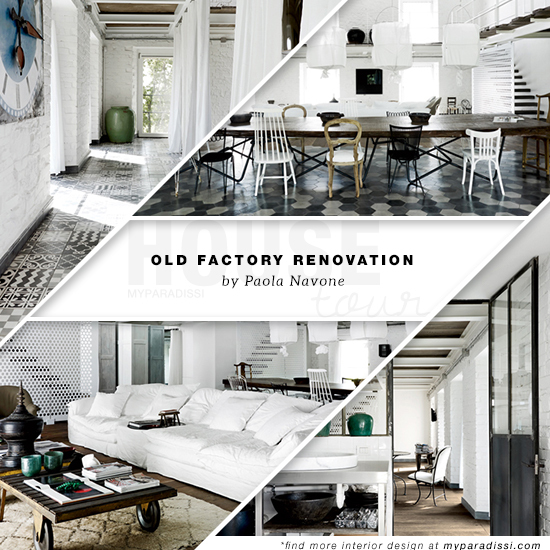 There aren't many designers who can turn a 200 years old factory into a welcoming home as successfully as Paola Navone does. We're talking about a large, high ceiling interior that was once great at processing tobacco but but not at all at accommodating people. 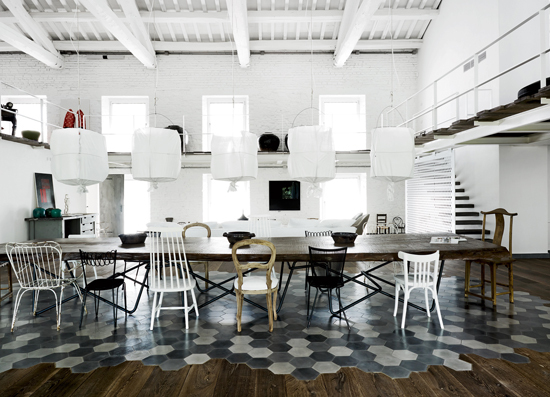 Now, it is not only serving its hospitality purposes but also stands as an inspiring example of rustic industrial interior design, the type that Paola is really a virtuoso at. There are two storeys in the building that are visually connected, creating a floating illusion while separating the various functions of the house. 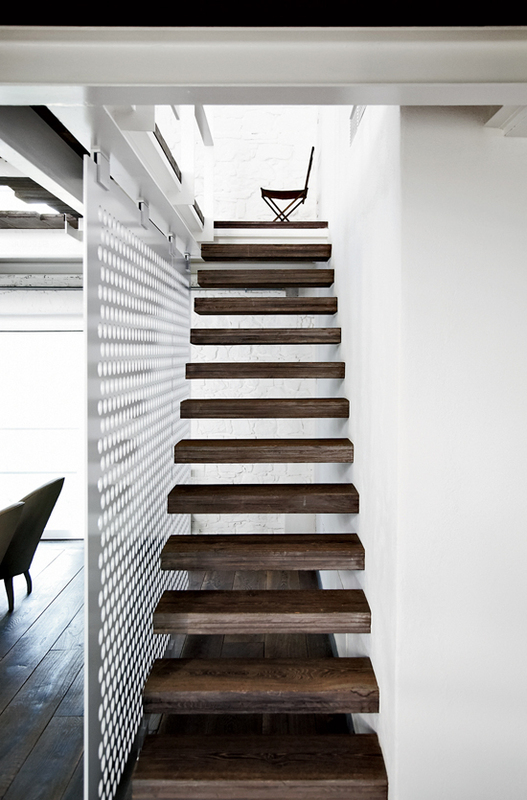 The basic structure (take walls, ceiling and other bearing accents) were painted in white, so as to create a black canvas to play on with vintage, aged and rustic accessories and lots of unrefined woods on floors, ceilings and stairs. 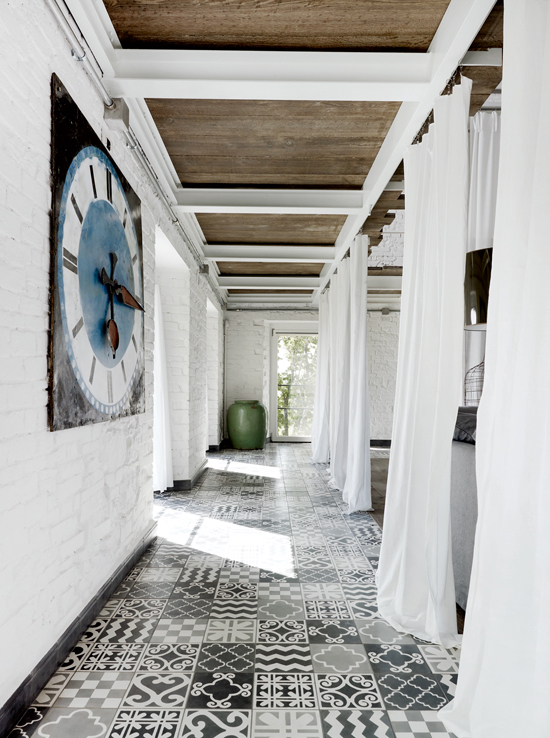 I'm smitten by the tiles Paola picked for the interior; hexagonal tiles form a carpet and define the kitchen and dining area while amazing monochromatic patterned moroccan tiles are to be found in the bathroom and hallway. There is this fresh breeze that floats throughout the impressive interior. It might be the sheer white drapes that are used as dividers or hanging in front of the two storey high closets, the delicate lamps of Design House Stockholm hanging over the enormous dining table or the ample daylight coming in from the 52 (!) windows of the building. In any case, I feel like living in such a house is a life changing experience all by itself. 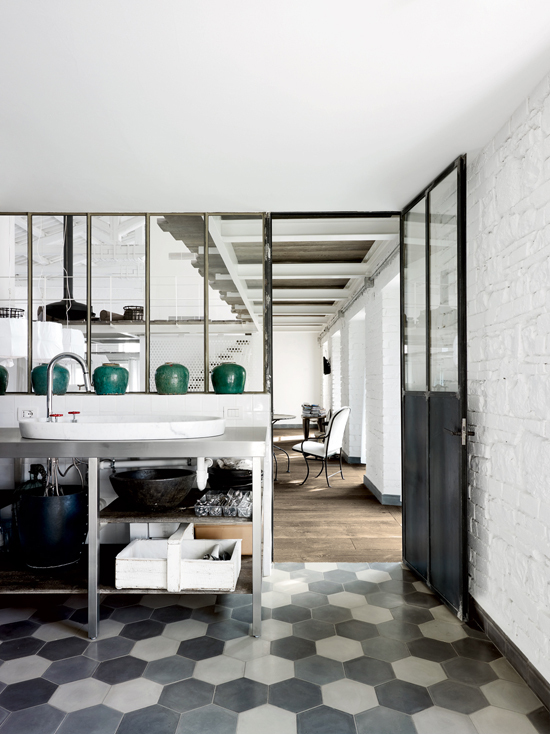 Photos by Wichmann + Bendtsen via dwell. 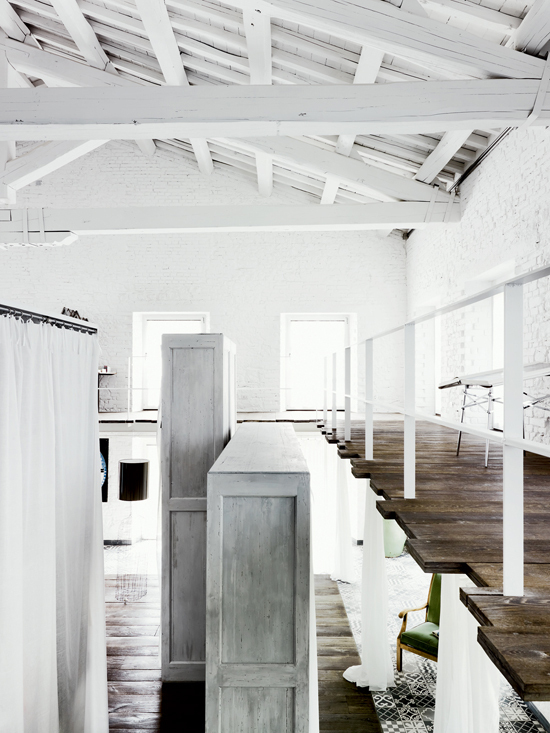 3 comments on "Old factory renovation in Italy"
would be great to find out where this gorgeous bathtub is from!! !